Usually, when you’re in need of towing service, it’s one of those ‘uh-oh’ moments. Those are the times when something goes wrong — normally at the worst time — and you feel stuck, powerless. If an ‘uh-oh’ moment happens to you when you’re driving and you need a tow, never fear, because Amarillo Wrecker Service is your dependable and reliable 24-hour towing service in the Panhandle. We provide the best and quickest towing service, 24-hour towing, tow trucks, winch outs, and heavy duty towing in the Amarillo, Texas area. Most folks need a tow when their car breaks down, but we also provide roadside assistance and vehicle and equipment transport. Our staff of experienced and dependable tow service drivers are always ready when you need us with the best and highest quality towing service — and the best rates — in the region. 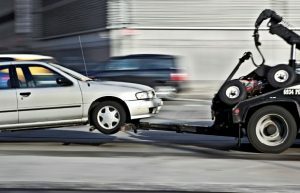 At Amarillo Wrecker Service we provide full-service 24-hour towing to the Amarillo, Texas area. Each of our towing and recovery experts is certified and highly skilled at what they do. This includes such light duty services as car, truck or motorcycle towing, transporting vehicles, roadside assistance services (such as jump starts and tire changes), fuel delivery, and winch outs (basically being stuck in the mud, water, snow, ditches, etc.). But we’re so much more than that and we offer those in the Texas Panhandle heavy duty services to include tractor/trailer and bus towing, heavy equipment hauling, commercial road service, boat lifts, and much more. We provide our services on a 24-hour basis, 365 days a year because we know that when you need our towing service, you’re really in a tight spot. If you live in the Amarillo, Texas area and find yourself in need of towing services any time day or night, please contact us at Amarillo Wrecker Service. We treat each customer as a member of the family and we’re always here to help now. Call us today at (806) 666-6965.